Combine the laid-back ambiance of Jimmy Buffet with the world-class hospitality experience of Wyndham and you have the Margaritaville Vacation Club. The Club is all about attitude – a state of mind that brings out the best in a vacation experience. Based on the famed “It’s 5 o’clock somewhere” theme, you’ll find a party every day with Margaritaville. 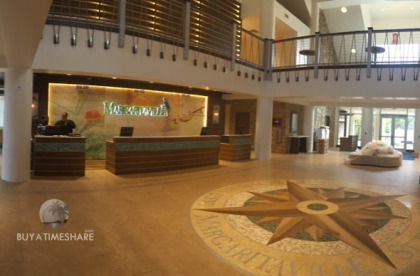 This Margaritaville timeshare venture, headquartered in Orlando, Florida, is a joint partnership between Margaritaville Hospitality Group and Wyndham Vacation Ownership. Formed in 2013, this partnership has set out to create a new vacation club experience based on Jimmy Buffet’s approach to life combined with the outstanding accommodation products which have made Wyndham the largest timeshare operator in the world, with over 900,000 members globally. 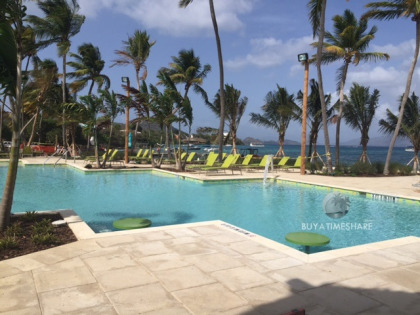 Members currently have club access to the laid-back experience of the Wyndham St.Thomas resort as well as Wyndham Rio Mar, along a pristine stretch of beach on the island of Puerto Rico about 30 miles from Old San Juan. 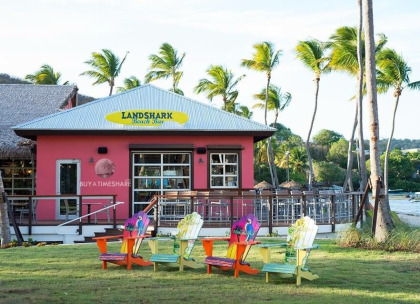 Wyndham knows how to do vacations, and this partnership starts in the Caribbean mecca of St. Thomas with the new Wyndham St. Thomas, a Margaritaville Vacation Club resort. This resort, which is the completely renovated version of the former Grand Beach Palace Resort, gives Club owners a choice of accommodation between seven beachfront buildings plus amenities such as a swimming pool, hot tub, a 5 O’clock Somewhere Bar, dive shop, water sports, live music and the famed Margaritaville Restaurant. 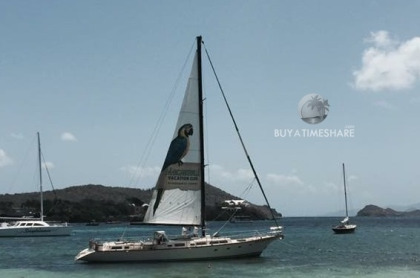 This St. Thomas timeshare resort has 262 fully furnished condo-style apartments, known as MargaritaVillas, where owners can relax and take in the rhythm of the island. Soak up the peace and tranquility of this majestic location where you can lounge at the beach or take in the sights, shopping and activities of the Caribbean’s most-visited tropical paradise. Located on the spectacular grounds of the Wyndham Grand Rio Mar Beach Resort & Spa, Wyndham Rio Mar gives Margaritaville Vacation Club owners a fabulous experience along one of the most pristine beaches in the Caribbean. Amazing golf, casino excitement, restaurants, shops and nature-based inspiration at nearby El Yunque Rainforest provides the complete vacation escape. Luxury spa programs, entertainment and even a swim-up bar in the pool give you your choice of relaxation or exhilaration. Depending on your level of membership, you can choose from studio, one-bedroom or three-bedroom accommmodations with either ocean or mountain views. As you would expect, your unit comes with a kitchen and bar area. How Does The Margaritaville Vacation Club Function? Points are allocated to Club owners which will give them the option to vacation at Club resorts or one of over 100 resorts within CLUB WYNDHAM Plus program. 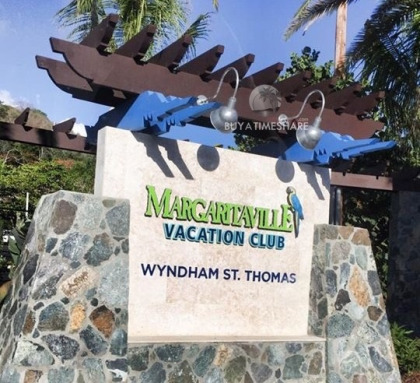 Club owners have access to advanced reservations, giving them the chance to make a resort booking beginning 11-13 months prior to vacationing at their home resort which, in the short term, will be the Wyndham St. Thomas resort. 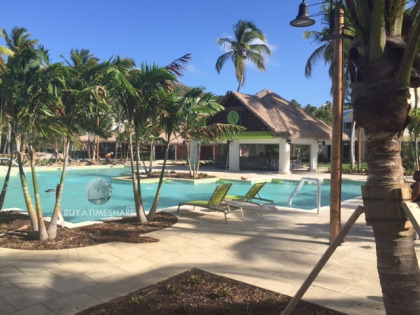 When additional timeshare resorts are added to the Margaritaville Club, then owners can book vacations at those resorts up to 11 months prior to arrival. So many options – from fishing, snorkeling and diving to golf and the amazing shopping in this duty-free destination. You’ll never have a spare moment – unless you choose one. Try climbing the 99 Steps of Charlotte Amalie, the capital city of St. Thomas, for amazing views of the island. Or take an easier route with the Skyride option – to 700 feet above the city. The island has some of the most fascinating history of anywhere in the Caribbean, with its pirate history on full display at Blackbeard’s Castle or the Virgin Islands Museum. How about checking out Fort Christian, the oldest structure in the Virgin Islands. If you feel like venturing off the island, you can remain in U.S. territory by taking a ferry to the islands of St. Croix or St. John, which is 70 percent National Park with some of the most scenic beaches in the Caribbean, notably Trunk Bay. 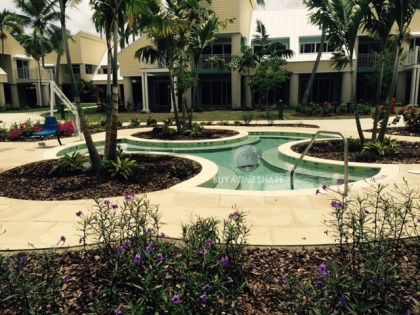 One of the unique aspects of this Margaritaville timeshare club membership is VIP access to Margaritaville Restaurants around the U.S. and international locations such as Cancun and Sydney, Australia. Plus, you’ll have access to top tier Jimmy Buffett concert tickets when they become available. Changes in attitudes – that’s what the Margaritaville Vacation Club is all about. And you’ll have a chance to enjoy the benefits of the Club without the high costs by buying into the Club on the resale market here at BuyaTimeshare.com. Contact Margaritaville Vacation Club Specialist Today!